As a practice, Dr. Waite truly believes that preventive care and education are the keys to optimal dental health. 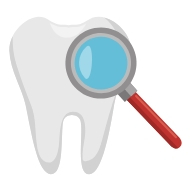 That’s why we focus on thorough exams – checking the overall health of your teeth and gums, performing oral cancer exams. Comprehensive treatment planning to restore your unique smile or enhance it as well as achieve good dental health are very important. Should a dental emergency occur, Dr. Waite and her staff make every effort to see and care for you the same day! What is involved in your Dental appointment?